Social dancing has certainly experienced a growing rise in popularity in recent years and young stars like Nathan Carter and Derek Ryan have attracted a whole new generations of dancers to the country scene. Now a Loughrea based dance teacher is aiming to make jiving easily accessible to the masses. Niall Doorhy has directed the first DVD tuition in social dance jive to be released in Ireland. 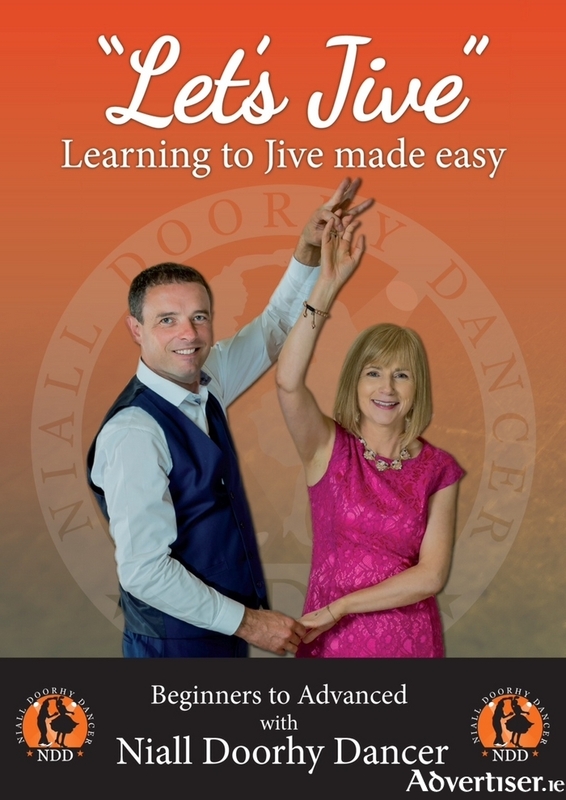 The DVD is aimed at absolute beginners who wish to learn to jive with step by step instructions, so you can practice from the comfort of your own home. And for those who can jive already, Mr Doorhy has included a section on the new DVD showcasing some advanced moves and techniques to make heads turn while you dance. In the DVD, recorded at Greenfields Studio Headford, Niall explains the jive with breakdown of movements and slow motion camera shots to make it as simple as possible. He says he spotted a niche in the market for people who wanted to learn to dance but did not know how to make a start. "There are so many people out there who go to weddings and events, and are constantly watching everyone dance but are not able to join in. Jiving is easy once you have the basic movements and footwork, once you master them with practice, you will feel very confident to take to the dance floor." He is certainly well qualified to share his skills having been was born into a family that has music and dance running through their veins. His grandfather Paddy Doorhy was an accomplished fiddler, who played with the Ballinakill Ceili Band, and his father, also Paddy, is a drummer and played with many local bands throughout the years. Mr Doorhy started his dancing career many years ago, to earn some extra money, and to escape the nightclub and bar scene. He has gone from teaching in small halls in parishes around Galway to now having taught in every province around Ireland. His noted dancing style and his ability to make jiving look easy has gained him widespread popularity and awards across the country. His Facebook jive videos have more than half a million views, as well as thousands of followers to his page. Last year he was featured on RTE’S Nationwide programme and TV3 documentary At home with country music. He will also feature in a new upcoming BBC/RTE documentary called Keepin Er Country to be screened this autumn. The DVD will be launched at The Well, Moate, Co Westmeath, on Tuesday August 25, where Mr Doorhy regularly holds classes, and music on the night will be by Patrick Feeney and his band. The DVD costs €15 and for details on how you can receive a copy email [email protected], call Niall on 087 353 6502, or check out the Facebook page - Niall Doorhy Dancer.